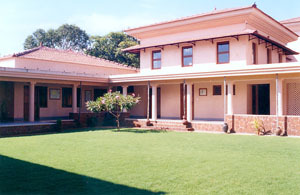 At the end of the year 2018 TSKK library has approximately 15,500 volumes on the following subjects: Konknni language and literature in Devanagari, Roman and Kannada scripts; linguistics; literary criticism; history of Goa and Konknni; folklore; Indian culture, religion, philosophy and literature; cultural anthropology; grammars and dictionaries of many Indian languages; works of general interest and reference works. A few inportant journals in Konknni and related to Konknni, on linguistics, folklore and of general interest are available for reference. Either photocopies or microfilms of rare Konknni books and manuscripts too are available for scholars. A microfilm reader makes it possible for scholars to use the rare books and manuscripts in microfilm format. A dedicated scanner is available in the library to scan library material. Every year approximately 100 new titles are added to the library. Due to lack of proper software TSKK library is not computerized.